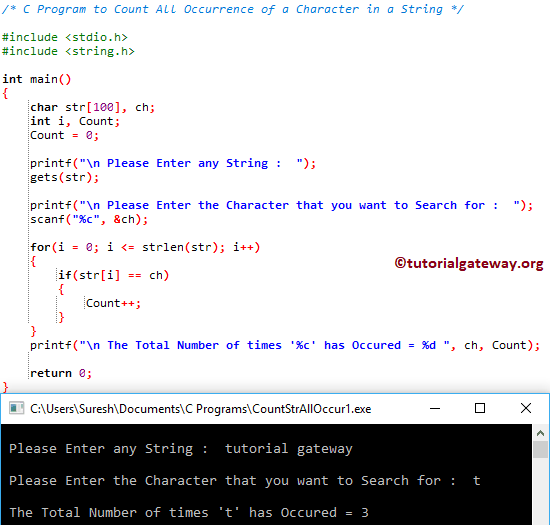 In this article, we will show you, How to write a C Program to Count All Occurrence of a Character in a String with example. 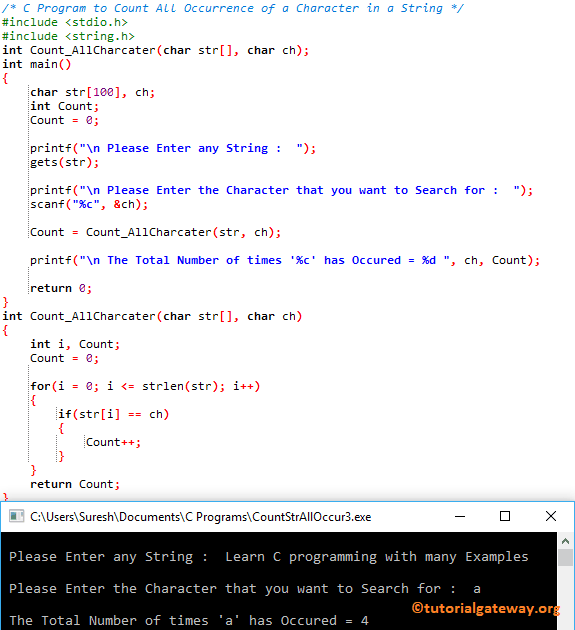 This program allows the user to enter a string (or character array), and a character value. Next, it will search and count the total number of times this character has occurred inside a string. Above condition is True. So, compiler will execute the statement inside the If block.